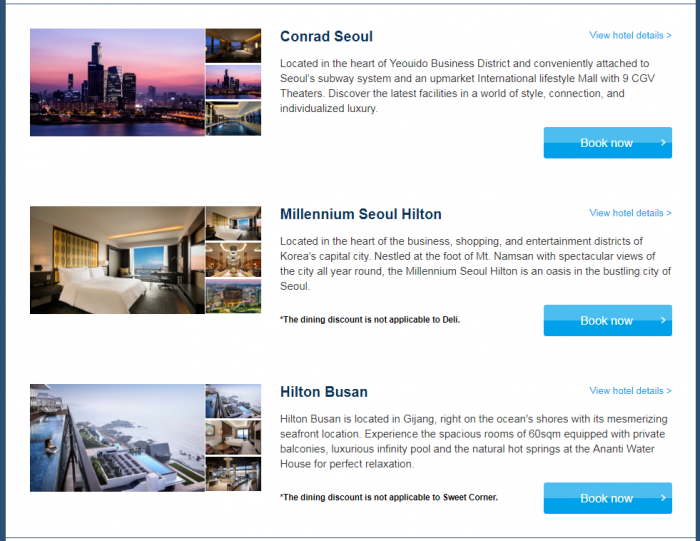 Hilton Honors has launched new sale for stays in Japan, Korea, Guam and Conrad Hong Kong, Koh Samui and Maldives through December 30, 2018. Members can save 25% off of their stays in premium rooms (rooms and suites) that are booked by September 25. Note that the discount only applies for stays in premium rooms such as suites. Wort having a look at the prices offered under this sale to see how good they are. Just make sure that your plans are firm as these rates are prepaid, nonrefundable and noncancelable. Limited availability at the discounted rates. 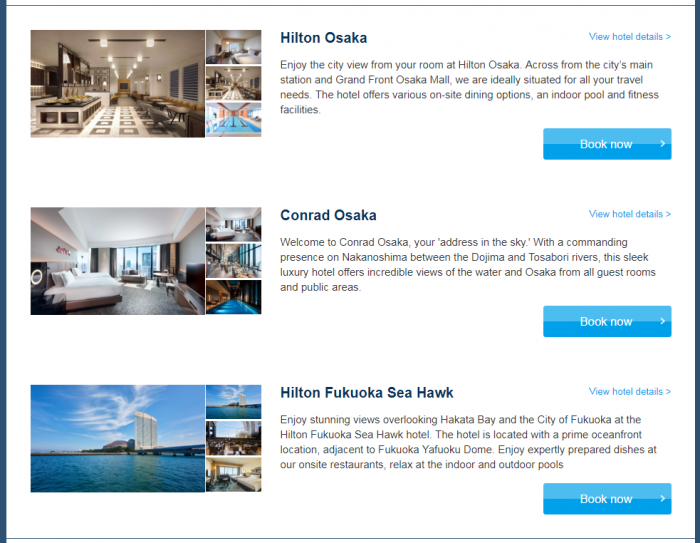 Offer is subject to availability at all participating properties in the Hilton portfolio across Japan, South Korea, Guam, Thailand, Maldives, and Hong Kong for stays booked between 4 September 2018, 2pm JST, and 25 September 2018, 2pm JST, and completed between 4 September 2018 and 30 December 2018. Offer is valid only for selected premium room types at participating properties and may include Suites, Deluxe and Executive-type rooms. Actual discount rate varies by room-type and property. Blackout dates may apply and vary. Rates are valid for single/double occupancy and are exclusive of all taxes, incidental charges, gratuities, and resort fees where applicable. Discount is up to 20% off Flexible Rate (“BAR”) or Bed and Breakfast Rate (B&B) across all participating properties. Hilton Honors members will receive an additional 5% off. (This additional 5% discount is not applicable for bookings made for stays in Hong Kong). The dining discount is not applicable at the following restaurants: Premium Palette & Seascape Sweets and Coffee (Hilton Tokyo Odaiba); Segafredo (Hilton Tokyo Bay); Sunset Lounge (DoubleTree by Hilton Naha Shuri); Java Café Restaurant (Hilton Tokyo Narita Airport); Sweet Corner (Hilton Busan); Deli (Millennium Seoul Hilton); Da Vinci, Genji, Lakeside Café, Le Gourmet, Poolside, Shilla Court, Silkroad, Stars (all Hilton Gyeongju); Caffe Cino, Fisherman’s Cove, Fisherman’s Express, Islander Terrace, Roy’s and Roy’s Lounge, Tree Bar, Tropics BBQ (all Hilton Guam); Nicholini’s, Brasserie on the Eighth, Golden Leaf, Garden Café, Pacific Bar, Lobby Lounge (all Conrad Hong Kong). Hilton Honors™ membership, including the earning and redemption of Points is subject to Hilton Honors Terms & Conditions. All Hampton by Hilton™ hotels in Mainland China are currently excluded from the Hilton Honors program. Next articleReader Question: Getting Credit For Multiple Rooms Under Combined Marriott Rewards & SPG Program?